I thought long and hard about it and couldn’t really come up with any examples. 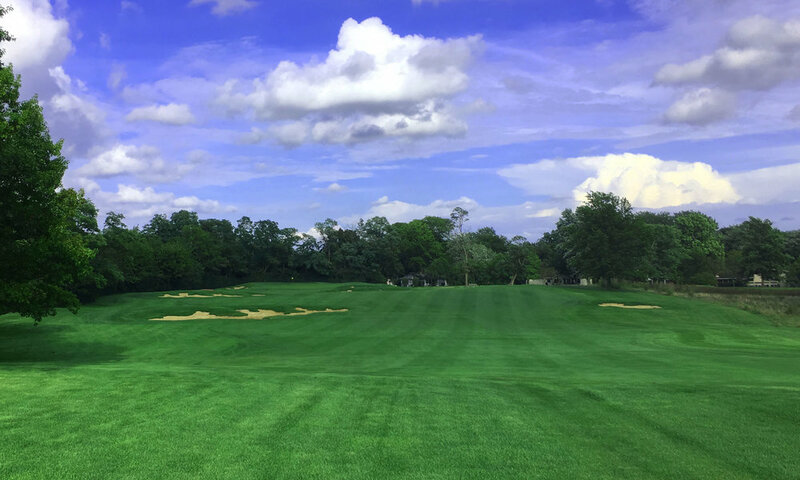 For most golfers, roughly 50% of their shots in a round occur on and around the greens, so an architect needs to place a great deal of thought into how they plan to design their green complexes to create great variety and challenge to players. Great green complexes drive the strategy of the hole back to the tee shot and can significantly alter the way and types of shots that players play into, on and round them. 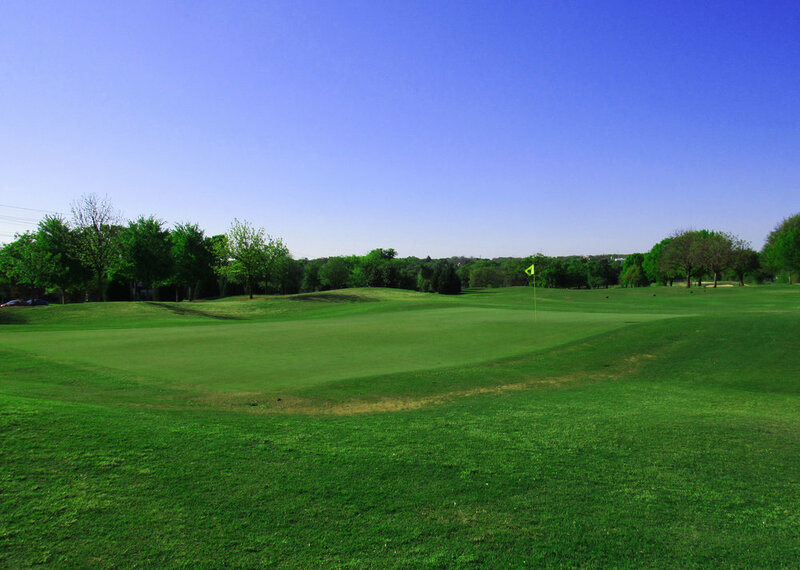 There are many different types of commonly used green complexes, but in this post, we will focus more on the overarching philosophies of greens and how a great green can make a great hole. Greens and their surrounds can have a major impact on how a hole is played and many times when a pin position is moved the strategy will change drastically. 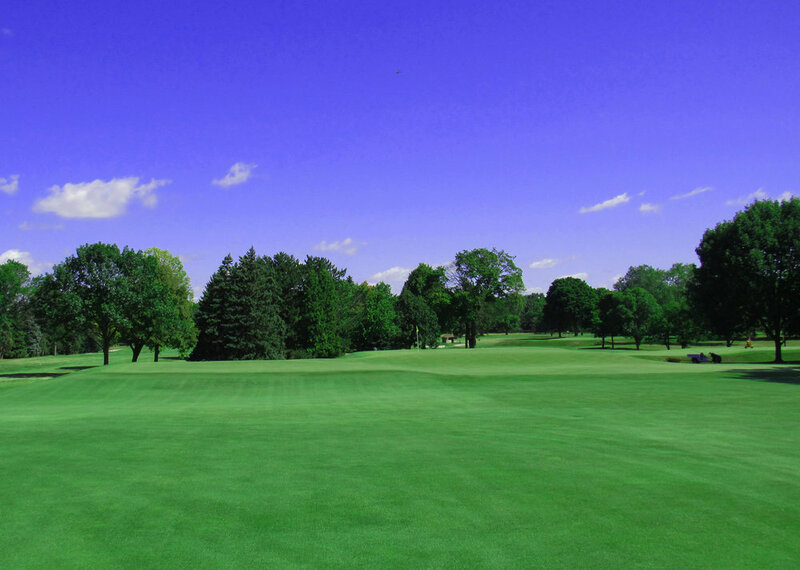 An example is Flossmoor Country Club’s fourth hole. This short par four measures a mere 332 yards but possesses a great green complex that impacts the best way to play the hole depending on where the pin position is. The fourth green is long, narrow and has a great deal of slope from back to front and left to right. In order to walk away with a birdie, it's important for players to keep the ball below the flag and leave a straight uphill putt, not an easy task because of the slope and narrow nature of the green. In order to give themselves the best chance, players need to find the correct side of the fairway to approach the green. This angle changes with the pin position. As the pin moves from front to back, the ideal angle moves from the left to the right side of the wide fairway. The proper angle allows a wedge shot to attack the pin straight on. The approach to the 4th hole at Flossmoor C.C. Many of the greatest green complexes in the world lie in the British Isles where the wind swept sand dunes created naturally contoured putting surfaces. Most architects aren’t afforded that type of land, so their first task is selecting the green sites during the routing process and creating greens that blend into their natural setting. It’s wise and preferred for architects to use the natural land movement to build contours that move with the land. As we discussed during the previous naturalness and strategy sections, variety is an important aspect to green complexes. It wouldn’t be much fun to play a course that had 18 nearly identical greens. By varying the slope, size and shape of each green, an architect can create a lot of interest and force players to think their way around the golf course. 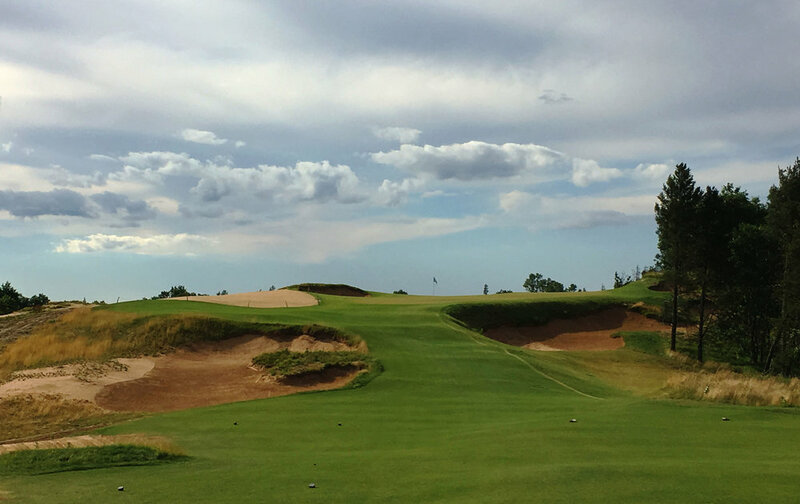 Sand Valley's uphill short par 3 8th. When laying out 18 greens, architects need to be aware of how they build the green and its surrounding hazards and how it fits with the approach shot that is playing into it. For example, a green that calls for a player to play a long iron into it should have ample space for them to hold the green with a well-struck shot. The green can be small, but then the architect should give a player room to land their shot short of the green and run the ball up. Typically, these greens should have less slope to them as a great shot should be rewarded with a makeable birdie putt. The 10th at Blue Mound Country Club calls for a long iron approach and has and unobstructed opening allowing players to run the ball up. Likewise, on a shorter hole where short irons and wedge shots are played into the architect has all of his tools at his disposal. 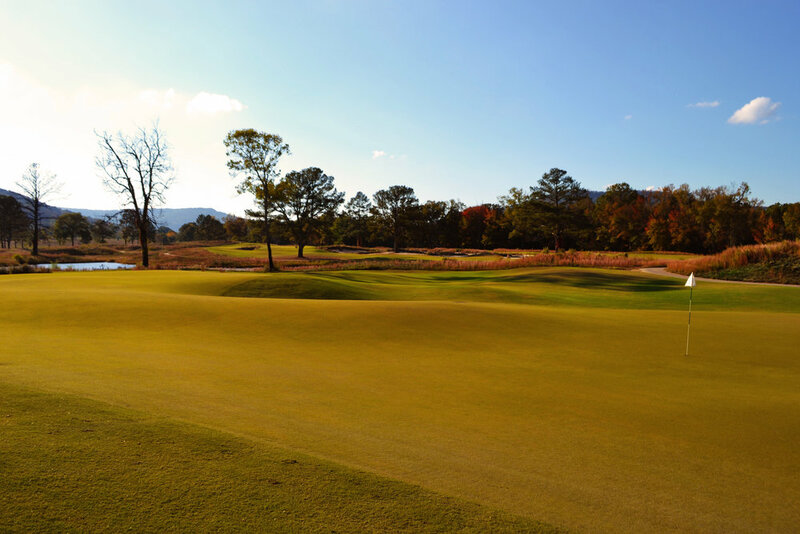 On these types of holes, architects can create greens of any size, build dramatic slopes and create green surrounds that make it very tough for any player who misses their target. Meanwhile the 110 yard third hole at Philadelphia Cricket Club has a heavily bunkered green demanding a precise wedge shot. It’s important to note that while these are good guides to green building they are hardly rules, and you will see heavily sloping greens on long approaches. Two great examples are the redan holes at National Golf Links of America and Shinnecock Hills which possess a lot of slope from right to left and front to back and require long iron approaches. These greens would likely never have been built today because of fear of criticism but that’s what makes architecture great, there are light rules and the great architects know when to break them. One aspect that an architect has to keep in mind when constructing a green is the amount of the green that can be used for a pin position. A green full of massive slopes that only allows for two or three different pin positions will get boring quickly. On the other hand, a green filled with subtle slopes or many different pockets allows for the superintendent to change things up on a daily basis. A common thing that you see with older courses is greens that have shrunk over the years because of maintenance budgets or sloppy mowing patterns. An easy way for these courses to improve their golf course is by recapturing the lost areas, leading to a number of new pin positions and increased variety. Bunkers and water hazards were popular tools that architects used after the great depression to obstruct a player's path to the pin. In recent years and during the golden age of architecture, there was less use of these manmade features and more emphasis on contours and run off areas. The use of these tools create a much more natural look, lower construction and maintenance costs and promote the ground game and different playing options around the green. These areas stimulate thought and create doubt for better players as to what club to use, while the average golfer can easily play from them with their putter and avoid big numbers. 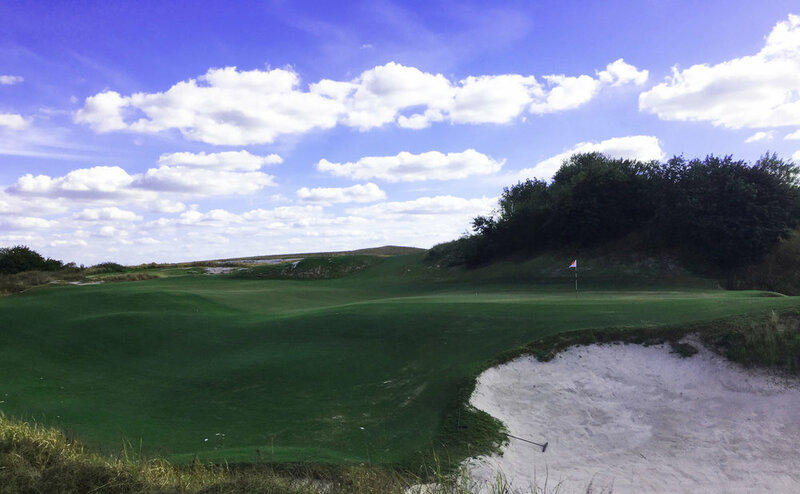 The 11th at Streamsong Blue, Tom Doak defends the green without bunkers and natural undulations. 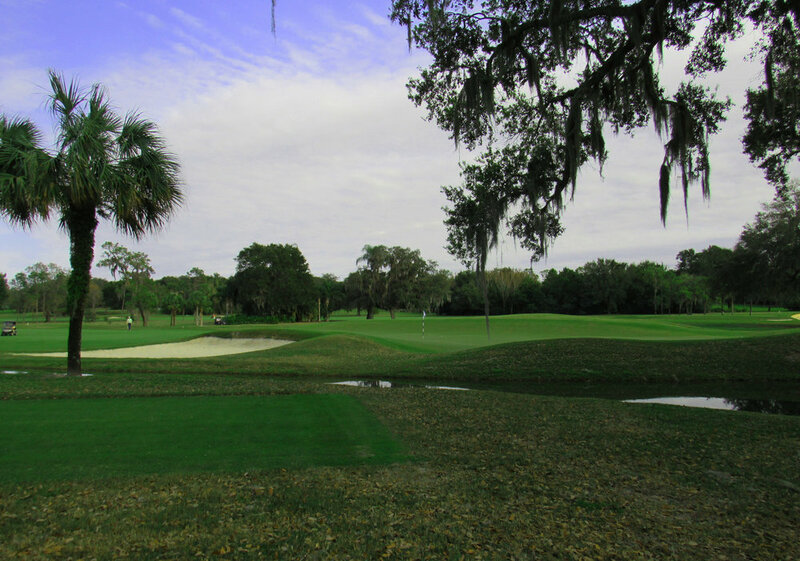 If you missed any of our previous Golf Course Architecture 101 posts check them out here. Love golf? Sign up for the fried egg newsletter filled with the latest news and golf course architecture articles.